As if we all needed another reason to be terrified on online dating! If you were one of the millions and millions of people who consumed You with a questionable amount of speed, then you're probably looking for the next (arguably?) trashy crime thriller to watch entirely over a single weekend. 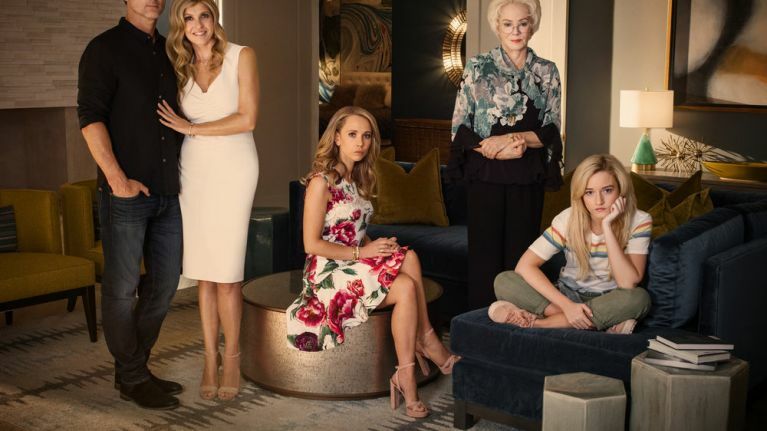 Hunky men doing bad things seems to be all in the rage in 2019, and so it will continue to be with the arrival of Eric Bana's con man in Netflix's new anthology true-life series Dirty John. Bana plays the titular, apparently unclean John, who meets Debra (Connie Britton - American Horror Story, Friday Night Lights) online, and the two quickly fall in love. However, it doesn't take long for the people in Debra's life to begin to question this perfect new love in her life, but quite how dark John is capable of getting is beyond any of their wildest imaginations. Co-starring Juno Temple (The Dark Knight Rises, Killer Joe), Jean Smart (Fargo, Legion), and Julia Garner (Ozark, Maniac), the show has had some... how do we put this?... eclectic reviews, with those reviewers who don't place the series under the banner of "guilty pleasure" not having much time for it. On the flip-side, Entertainment Weekly said that the show is "A dazzling matchup of pulp and prestige. Britton is perfectly cast as Debra. [Bana as] Meehan pivots from charming to chilling and back with astonishing ease. ", while The Los Angeles Times called it "Glossy and well-acted, its transfer from your daily commute’s most suspenseful listening stretch ever to serviceable wine-and-laundry-folding companion show feels, all in all, a smooth one." All eight episodes of the first season of Dirty John will be added to Netflix on Thursday 14 February.